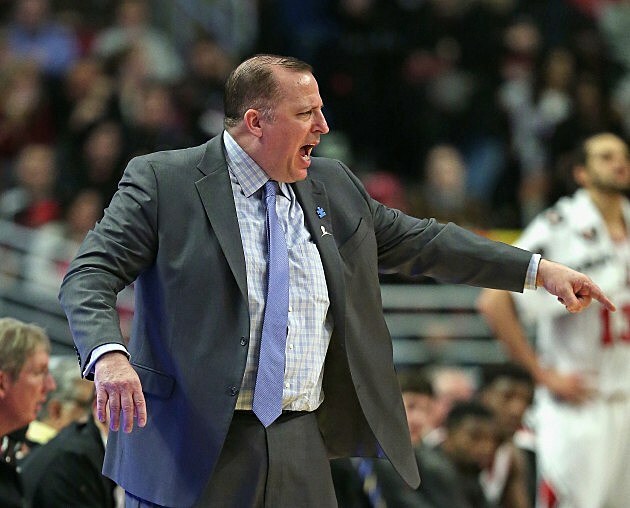 The Chicago Bulls have fired Chicago Bulls Head Coach Tom Thibodeau. Here's a big reason why. According to ESPNChicago.com, Tom Thibodeau just finished his fifth season as head coach. He had two remaining years on his contract and nearing $9 million dollars remaining on the contract. Chicago was eliminated by the Cleveland Cavaliers in the Eastern Conference semifinals earlier this month. According to ESPN, Chicago's inability to close out an injury ridden Cleveland Cavalier team was the final straw. The 2010-11 NBA Coach of the Year had a .647 win percentage in the regular season (255-139) for Chicago, and that was with star point guard Derrick Rose playing only 181 of 394 games because of injuries. His teams excelled defensively, ranking first in the league in points per game (92.6) and field goal percentage (43.2) since the 2010-11 season, his first. The search is on for a new head coach once again in Chicago for a professional sports team.